Giacinta Cestone obtained a PhD in Economics from the University of Toulouse (France). She has previously held research and teaching positions in various institutions such as the Institute for Economic Analysis (IAE, Barcelona), the University of Salerno (Italy) and Queen Mary, University of London. Her research interests are in the areas of Corporate Finance, Corporate Governance, and Industrial Organisation. In her research Giacinta Cestone has investigated the interaction between corporate finance and product market competition. Her paper “The Deep Pocket Effect of Internal Capital Markets” provides empirical evidence that affiliation with a cash-rich group represents a source of competitive strength for manufacturing firms. Giacinta is currently working on a project analysing the interplay between internal capital and labour markets in business groups. This research project, joint with C. Fumagalli, F. Kramarz and G. Pica, is the recipient of one of the AXA Grants-2012 Campaign and of a Leverhulme Trust Research Project Grant. 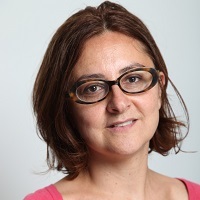 Giacinta has also contributed to the literature on venture capital financing; in ongoing work, she analyses how double-sided asymmetric information shapes venture capital syndication deals. In a earlier paper, she provides a model to determine the optimal allocation of cash flow and control rights in venture capital deals. She has also studied the relationship between corporate social responsibility and corporate governance. Giacinta has published her articles in the Review of Finance, the Journal of Financial Economics, the Journal of Finance, the Rand Journal of Economics, and the Journal of Economics and Management Strategy. She is a member of the Economic Advisory Group on Competition Policy (DG Competition, European Commission) and a research associate of the European Corporate Governance Institute (ECGI). Finance and Substainability European Research Award for the paper "Corporate Social Responsibility and Managerial Entrenchment"
Nomination for the 2004 Brattle Prize for the paper "Anticompetitive Financial Contracting"
First Prize EARIE Young Economists' Essay Competition for the paper "The Strategic Impact of Resource Flexibility in Business Groups"
French, Italian and Spanish; Castilian. Part of my recent research investigates the role of corporate groups and conglomerates in the real economy, the functioning of internal capital markets and of internal labour markets. My paper "The Deep-Pocket Effect of Internal Capital Markets" (Journal of Financial Economics 2013) shows that the ability to rely on groups’ internal capital markets provides a competitive edge to group-affiliated firms. We provide empirical evidence that entry in manufacturing industries is negatively related to the cash reserves hoarded by incumbent business groups, and positively related to the entrant groups' cash; the ability to rely on group cash also seems to reduce exit of recent entrants. These effects are more important in environments where financial constraints are pronounced. An ongoing project (joint with Francis Kramarz, Chiara Fumagalli and Giovanni Pica) investigates the interplay between internal capital markets and internal labour markets in corporate groups. The project relies on access to INSEE data that allow us to track how French corporate groups reallocate employees across different units, and has been awarded an Axa Research Fund Grant and a Leverhulme Trust Research Project Grant. In the past three years I have also contributed to the literature on venture capital financing. Business groups are a widespread organisational form in many countries. While group emergence has often been linked to the lack of efficient institutions, the exact determinants of group formation and evolution are still far from being understood. How do business groups differ from multi-divisional firms and what drives the choice between these two organisational structures? What are the main trade-offs determining group presence in given sectors and regions? This project aims at shedding light on these questions. We posit that for firms affiliated with groups the response to adverse shocks as well as new investment opportunities results from the combined activity of internal capital markets and internal labour markets. Hence, we expect groups to react differently to shocks with respect to stand-alone entities and even multi-segment firm (to the extent that internal capital and labour markets operate differently in the latter). To investigate these issues the project combines a theoretical analysis with an empirical investigation. We rely on data extracted from tax files that the French Fiscal Administration collects every year and that are made available to us by the INSEE. This is a joint project with Daniela Fabbri and Min Park. We aim to fill a gap in the corporate governance literature, that has mainly focused on the impact of board diversity on firm value. The project instead investigates whether board diversity affects firms' ability to raise debt finance. This is a theoretical paper (joint with Chiara Fumagalli) where we study whether and how the internal capital allocation within business groups should take into account the severity of the financial frictions faced by different group units. We posit that optimal capital budgeting in the presence of financial frictions may deviate from the NPV criterion, in that more financially constrained units are subsidised. This is in line with recent evidence on US multisegment firms (Billet and Mauer 2003) and Indian business groups (Gopalan, Nanda and Seru 2007). In this ongoing work with Josh Lerner and Lucy White we analyse how double-sided asymmetric information shapes venture capital syndication deals. We analyze how appropriate design of the syndicating VCs' cash-flow rights can induce them to reveal their signals to each other truthfully, and how the incentive costs of syndication vary with the VCs' expertise in evaluating entrepreneurial projects. We then address the question of how lead venture capitalists should choose their syndication partners. Our findings suggest that lead VCs should not syndicate with partners much more experienced than themselves even if such partners are available: more experienced venture capitalists should select more experienced partners. This is consistent with the empirical evidence. Cestone, G. (2014). Venture Capital Meets Contract Theory: Risky Claims or Formal Control? Review of Finance, 18(3), pp. 1097–1137. doi:10.1093/rof/rft021 . Boutin, X., Cestone, G., Fumagalli, C., Pica, G. and Serrano-Velarde, N. (2013). The deep-pocket effect of internal capital markets. JOURNAL OF FINANCIAL ECONOMICS, 109(1), pp. 122–145. doi:10.1016/j.jfineco.2013.02.003 . Cespa, G. and Cestone, G. (2007). Corporate social responsibility and managerial entrenchment. Journal of Economics and Management Strategy, 16(3), pp. 741–771. doi:10.1111/j.1530-9134.2007.00156.x . Cestone, G. and Fumagalli, C. (2005). The strategic impact of resource flexibility in business groups. RAND Journal of Economics, 36(1), pp. 193–214. Cestone, G. and White, L. (2003). Anticompetitive Financial Contracting: The Design of Financial Claims. Journal of Finance, 58(5), pp. 2109–2141. doi:10.1111/1540-6261.00599 . Cestone, G., Fumagalli, C., Kramaz, F. and Pica, G. (2016). Insurance Between Firms: The Role of Internal Labor Markets. CEPR. Boutin, X., Cestone, G., Fumagalli, C., Pica, G. and Serrano-Velarde, N. (2009). The Deep-Pocket Effect of Internal Capital Markets. Cestone, G. (2007). Corporate Governance e Concorrenza. In Cambini, C., Giannaccari, A. and Pammolli, F. (Eds. ), Le Politiche di Liberalizzazione in Italia Bologna, Italy: Il Mulino. ISBN 978-88-15-11883-7. Cestone, G., Boutin, X., Fumagalli, C., Pica, G. and Serrano Velarde, N. (2011). The Deep Pocket Effect of Internal Capital Markets. ESADE-IESE joint research seminar Barcelona, Spain. Cestone, G., Boutin, X., Fumagalli, C., Pica, G. and Serrano Velarde, N. (2009). The Deep Pocket Effect of Internal Capital Markets. Society for Economic Dynamics 2009 Annual Meeting 2-4 July, Istanbul, Tureky. Cestone, G. and Cespa, G. (2007). Corporate Social Responsibility and Managerial Entrenchment. 6th Toulouse Conference on Environment and Resource Economics: "Environment, Finance and Corporate Behavior" Toulouse, France. Cestone, G., Lerner, J. and White, L. (2007). The Design of Syndicates in Venture Capital. 3rd CSEF-IGIER Symposium on Economics and Institutions Capri, Italy. Cestone, G. (1999). Corporate Financing and Product Market Competition: An Overview. Giornale degli Economisti e Annali di Economia, 58(2), pp. 269–300. Cestone, G., Lerner, J. and White, L. (2006). The Design of Syndicates in Venture Capital..
Cespa, G. and Cestone, G. (2004). Corporate Social Responsibility and Managerial Entrenchment. CEPR. Cestone, G., Fumagalli, C., Kramarz, F. and Pica, G. (2017). Insurance Between Firms: The Role of Internal Labor Markets. Cestone, G., Fumagalli, C., Kramarz, F. and Pica, G. (2016). Insurance Between Firms: The Role of Internal Labor Markets. Boutin, X., Cestone, G., Fumagalli, C., Pica, G. and Serrano-Velarde, N. (2012). The Deep-Pocket Effect of Internal Capital Markets. Boutin, X., Cestone, G., Fumagalli, C., Pica, G. and Serrano-Velarde, N. (2011). The Deep-Pocket Effect of Internal Capital Markets. Cestone, G. and Fumagalli, C. (2003). Winner-Picking or Cross-Subsidization? The Strategic Impact of Resource Flexibility in Business Groups. Interests between Shareholders and Stakeholders. Cestone, G. (1999). Corporate Financing and Product Market Competition: An Overview. Cestone, G. and White, L. (1999). Anti-Competitive Financial Contracting: the Design of Financial Claims. Cestone, G., Lerner, J. and White, L. The Design of Syndicates in Venture Capital. Cestone, G. and Fumagalli, C. Internal Capital Markets, Cross-Subsidization and Product Market Competition. Cespa, G. and Cestone, G. Corporate Social Responsibility and Managerial Entrenchment. Cestone, G. and Fumagalli, C. The Strategic Impact of Resource Flexibility in Business Groups. Cestone, G., Fumagalli, C., Kramaz, F. and Pica, G. (2015). Insurance Between Firms: The Role of Internal Labor Markets. Cestone, G., Romano, M.G. and Piccolo, S. Innovation and Competition with Asymmetric Information. Journal of Economic Behavior and Organization, Referee, 2013 – present. Journal of Financial and Quantitative Analysis, Referee, 2013 – present. Journal of Economics and Management Strategy, Referee, 2009 – present. Review of Economic Studies, Referee, 2008 – present. Economic Journal, Referee, 2007 – present. Journal of the European Economic Association, Referee, 2007 – present. Journal of Financial Intermediation, Referee, 2006 – present. International Journal of Industrial Organization, Referee, 2005 – present. Review of Financial Studies, Referee, 2005 – present. The Review of Finance, Referee, 2005 – present. Games and Economic Behavior, Referee, 2004 – present. Giornale degli Economisti e Annali di Economia, Referee, 2004 – present. Journal of Banking and Finance, Referee, 2004 – present. Journal of Finance, Referee, 2004 – present. RAND Journal of Economics, Referee, 2004 – present. Investigaciones Economicas, Referee, 2001 – present. Economic Theory, Referee, 2000 – present. European Economic Review, Referee, 1999 – present. NBER Summer Institute. (Conference) Boston (2017). Invited speaker. Co-authors: Fumagalli, C., Kramarz, F., Pica, G.
Adam Smith Workshop (Corporate Finance). (Workshop) HEC, Paris (2017). Invited speaker. American Economic Association Annual Meeting. (Conference) San Francisco, USA (2016). Invited speaker. CSEF-IGIER Symposium on Economics and Institutions, special session on Internal Capital and Labour Markets. (Conference) Capri, Italy (2014). Organising Committee. DB-Lab Deutsche Bank Seminar Series. (Seminar) London (2014). Invited speaker. Chief Economist Team, DG Competition Seminar. (Seminar) Bruxelles (2014). Invited speaker. CSEF IGIER Symposium on Economics and Institutions. (Conference) Capri, Italy (2014). Invited speaker. UK Competition Commission seminar series. (Seminar) London (2013). Invited speaker. Workshop on Industrial Organisation and Corporate Finance, The Research Institute of Industrial Economics (IFN). (Conference) Stockholm (2013). Invited speaker. ESADE-IESE joint research seminar. (Seminar) Barcelona, Spain (2011). Invited speaker. EBRD Seminar Series. (Seminar) European Bank for Reconstruction and Development (EBRD), London (2011). Invited speaker. (Seminar) Antwerp, Belgium (2010). Invited speaker. (Seminar) Imperial Business School (2009). Invited speaker. (Seminar) University of Cambridge (2009). Invited speaker. (Seminar) Universite Paris Dauphine (2009). Invited speaker. (Seminar) FMG London School of Economics (2009). (Seminar) Warwick Business School (2008). Invited speaker. (Seminar) SOAS University of London (2008). Invited speaker. (Seminar) Bank of Italy (2007). Invited speaker. (Seminar) Queen Mary, University of London (2007). Invited speaker. (Seminar) LUISS University, Rome (2007). Invited speaker. 6th Toulouse Conference on Environment and Resource Economics: "Environment, Finance and Corporate Behavior". (Conference) Toulouse, France (2007). Invited speaker. 3rd CSEF-IGIER Symposium on Economics and Institutions. (Conference) Capri, Italy (2007). Invited speaker. 1st CSEF-IGIER Symposium on Economics and Institutions. (Conference) Capri, Italy (2005). Organising Committee. From dodo to phoenix. (2014) The Economist (magazine). Episode 173 - Conglomerate performance post-financial crisis. (2013) MoneyScience. Von Grosskonzernen unterstutzte Unternehmen entmutigen Start-Ups. (2011) www.e-commerce-magazine.de. Cass Business School: Durch Grosskonzerne unterstutze Unternehmen entmutigen 'Start-Ups'. (2011) www.geldanglagen-nachrichten.de. Durch Grosskonzerb unterstutzte unternehmen entmtigen ""start-ups"". (2011) www.umweltruf.de/news. Studie: David furchtet Goliath. (2011) www.rheinland.b4mittelstand.de (website). Time for Cameron to come out for entrepreneurs. (2011) www.telegraph.co.uk (newspaper). Plus les codes Žthiques seront formalisŽs, moins ils seront instrumentalisŽs"". (2008) www.leMonde.fr (newspaper).